This is what I would call an everyday Miracle! 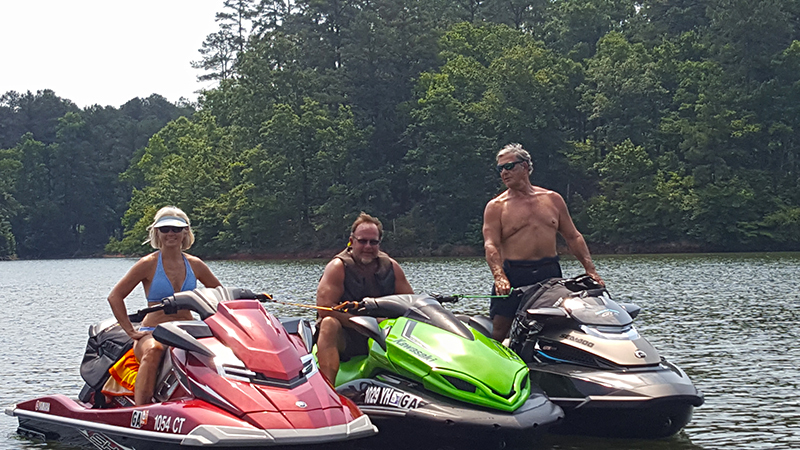 Four friends for a lifetime, Cathy Goldman, David Goldman, Bob Bryan and Theresa Bryan, were out jet skiing Saturday on Lake Thurmond. The lake was unusually busy and quite warm out. A swim was in order. It was a bit breezy which caused the lake to be choppy so we all decided to move to a more protected cove. 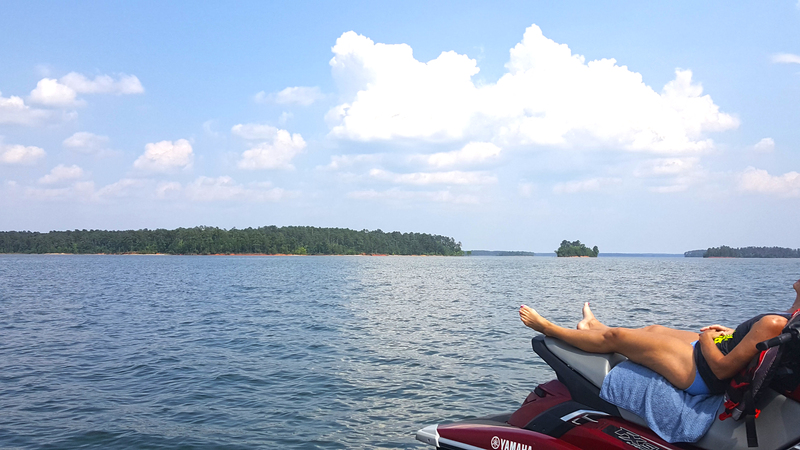 After our refreshing swim, we were all ready to get on our jet skis and ride again. We had no idea, not far away, two people were in deep trouble. A couple, neither of who knew how to swim, neither had ever ridden a jet ski, had nearly capsized their boat. The man had long pants on, not conducive to staying above the water in an emergency. when his ski started to sink he panicked and fell off taking his partner with him. Both frantic, afraid and no one around, they thought they would not be able to make it to shore. The boat was still afloat but the back end was under water, meaning it was getting ready to sink. If that had happened anyone in a boat could have easily hit them because it would have been nearly impossible to spot them in such a big body of water. As we starting to take off we saw someone waving for help. 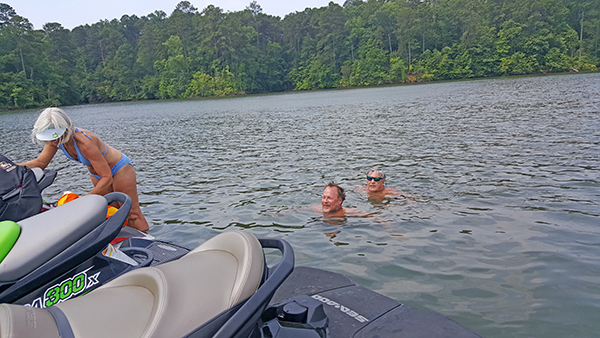 This is such a friendly, helping, boating community on the lake, we did not hesitate to give them a hand. He was hard to get out of the water because his cloths had become extra heavy, she was even more difficult as she had a death grip on the side of the jet ski and was too afraid to let go. Thank goodness Cathy is a strong athlete and could pry her free and lift her to safety. A group of their friends were on the shoreline, not believing what they were looking at. They all had started praying God would send an angel to help their friends. They had no vehicle themselves leaving them helpless. Yes, I would say God put us there at the right time. That’s what I call a “Godincidence”! I believe God puts people in our path for a reason! Yes, He did put you there at the right time. And you were the right people for the job. What a great story. I am sure you are proud of yourselves, too, as well as happy you could help.